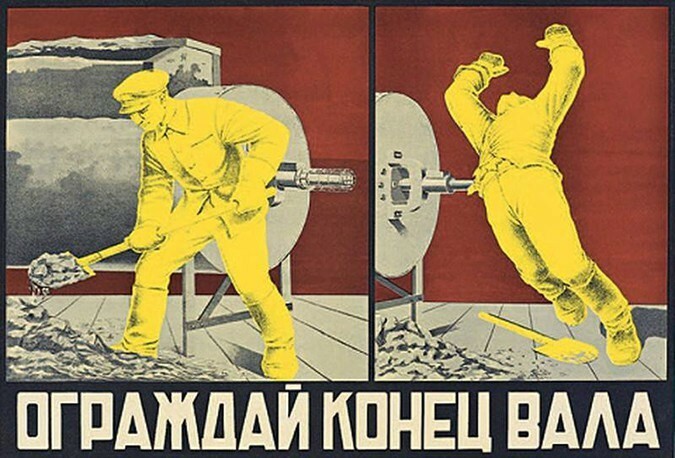 In one of our previous articles we started telling you about the art of Soviet posters. We talked about the posters which reflected politics and society. 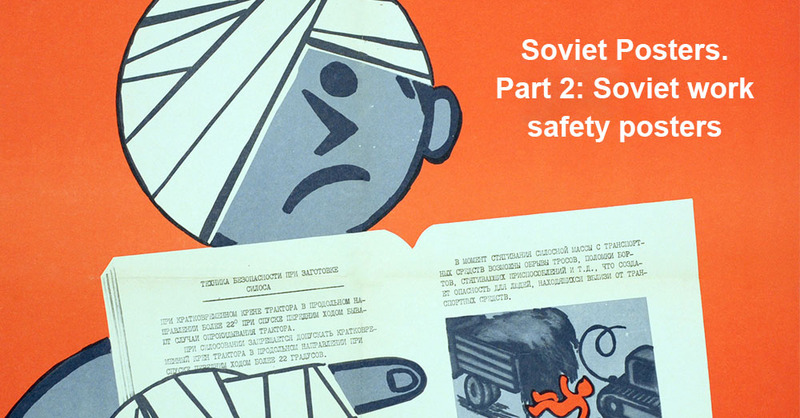 Today we would like to speak a little bit more about the art of Soviet posters in the USSR and show you a few Soviet work safety posters. 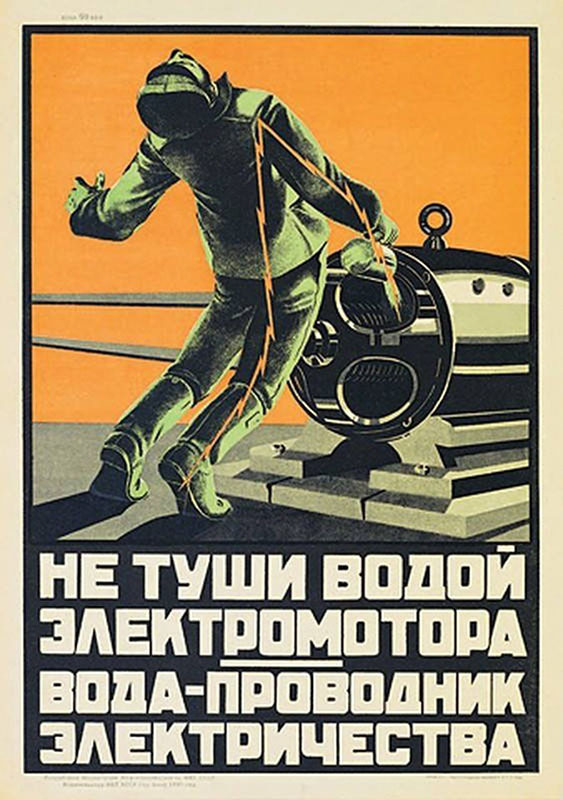 In 2005 in the Folkwang Museum in the city of Essen, Germany, hosted the exhibition of the Russian Poster Art «The Reality of the Utopia». 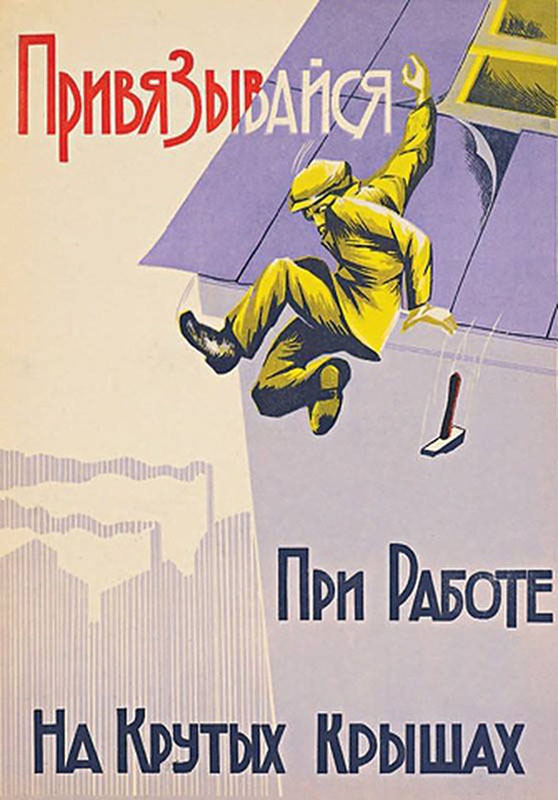 The exhibition was the result of a long-term project implemented by the Institute of Russian and Soviet Culture, Russian State Library and Russian University (Bochum, Germany). A monograph and a huge on-line database that includes 3,500 posters and 100 biographies appeared as a result of this work. 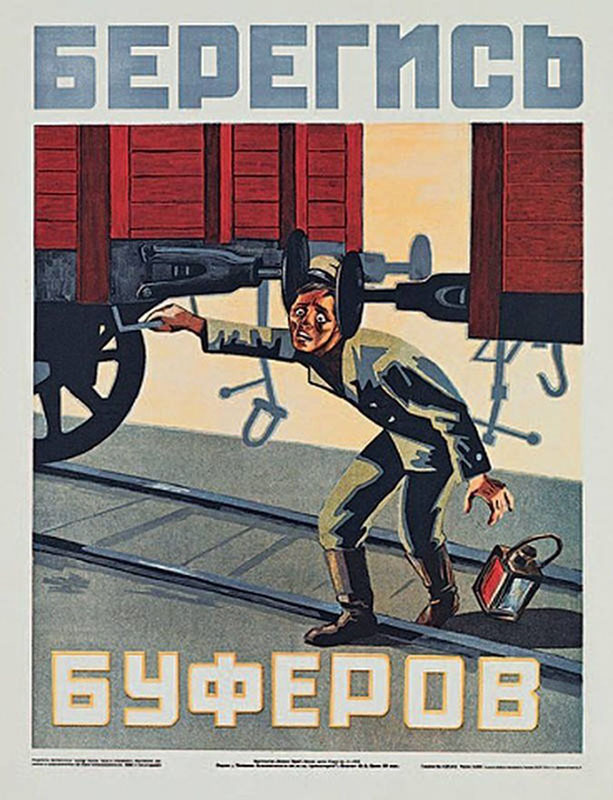 Why do Soviet posters arise such an interest? 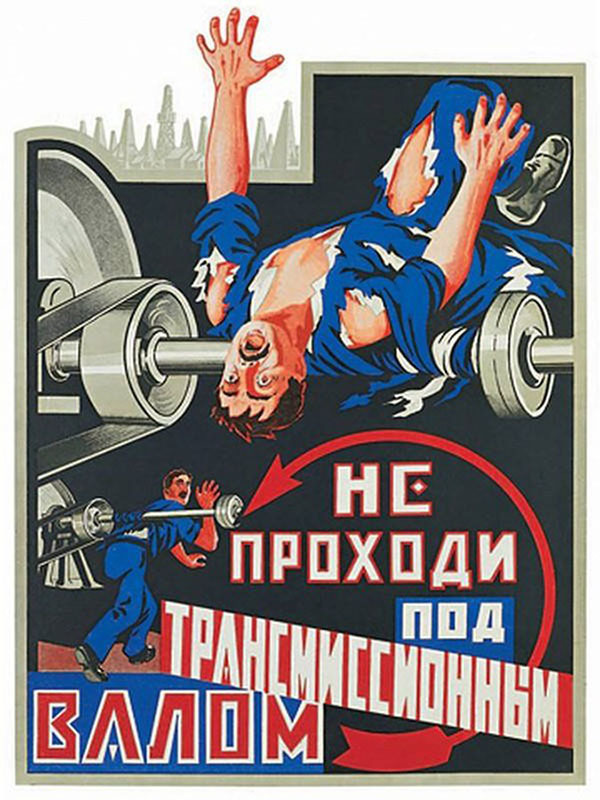 Several art experts believe that the poster art is the most successful form of realization of socialist realism as an art. A poster managed to realize its potential in the best way within the framework of this concept. Literature, for example, could not be neutral or non-political. As well as painting that within the framework of the Soviet system had to become realistic in its form and ideological in its content. Only during a few periods “the big art” could have a bit more freedom, but most of the time being in the underground. However, a poster being a genre of the applied art was suppressed by ideology. But you may say that all the posters we showed you in the previous article were purely propagandist! This is true, as it was our purpose to show you this kind of posters. 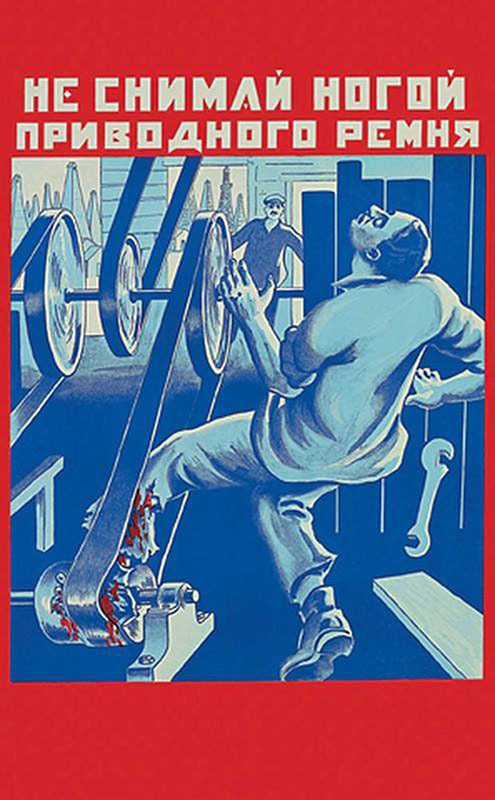 If you look at the statistics, you can see that during all those years political posters comprised only a bit less than 20% of all number of posters. Children, instructional, educational, information and advertising posters comprised the rest 80%. 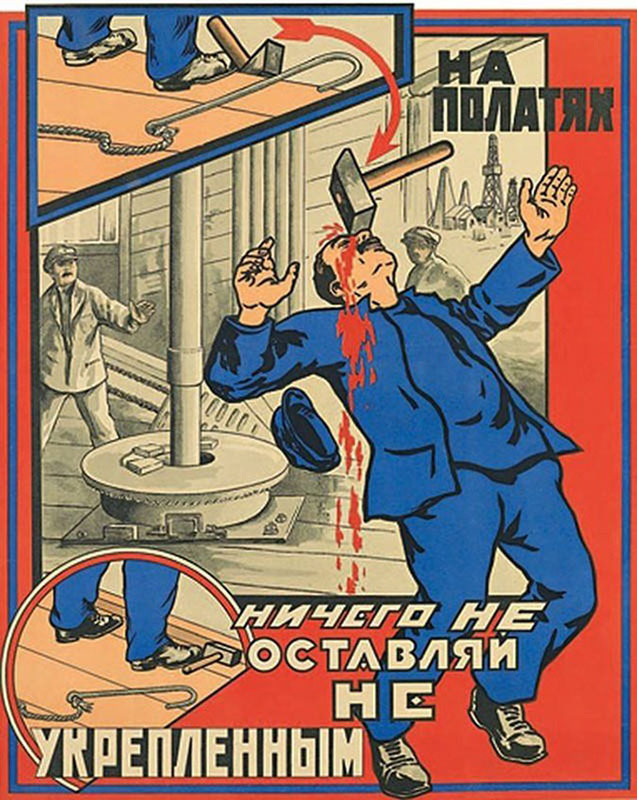 In this kind of posters ideology was moved to the background, but their utilitarian function was set forward. Artists here had a relative freedom for choosing their means. It is ironic in some sense that many really distinguished artists became famous within the framework of applied art which is traditionally considered less significant and intellectual as compared to the so-called “big art”. The country’s government communicated with their people vis posters. Since this was a one-way communication, it was important to get message across to a person in the most precise way possible. Therefore, the language of posters developed. 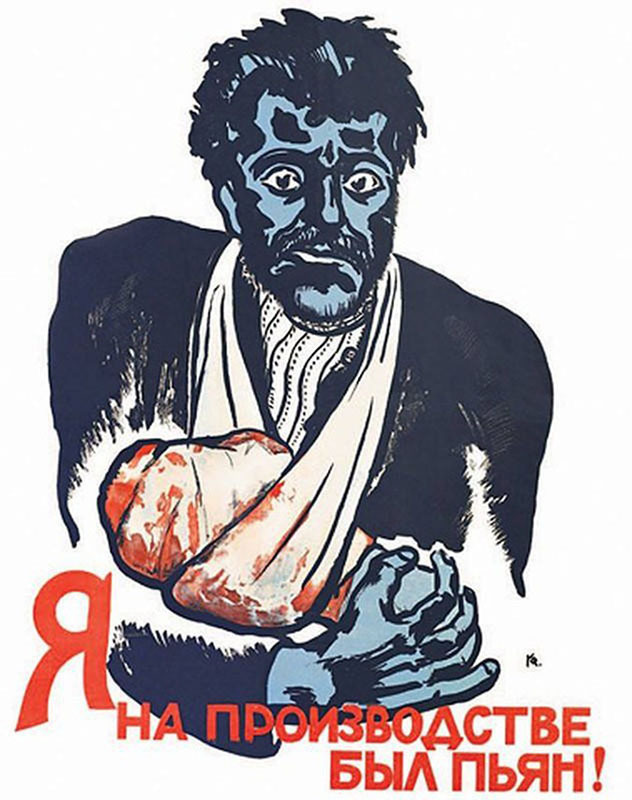 At the State Art Academy and in many other organizations (for example, the Moscow Union of Soviet Artists) there were special poster sections that developed this movement of art. 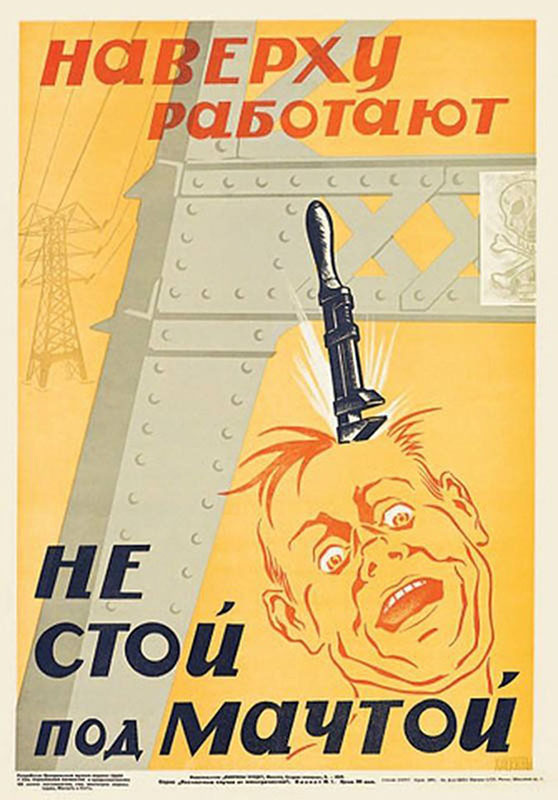 Another factor that determined the development of this trend is that in the USSR the art of posters had been developing nonstop during all the time of the country existence. 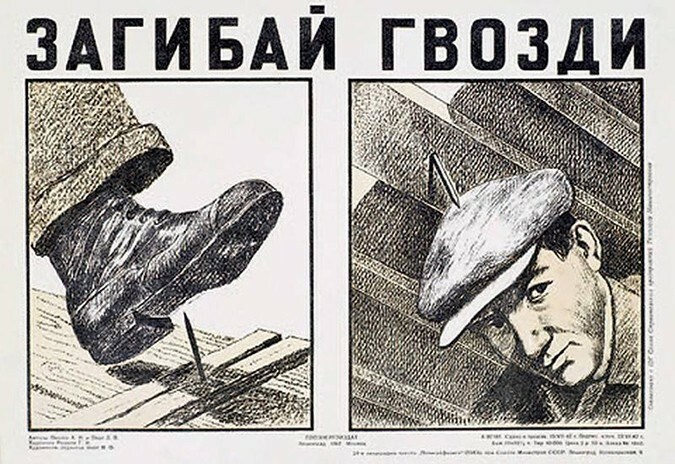 Posters were created to mark certain occasions, or in honor of significant events, they also illustrated many aspects of a soviet person’s life, they performed a didactic function. 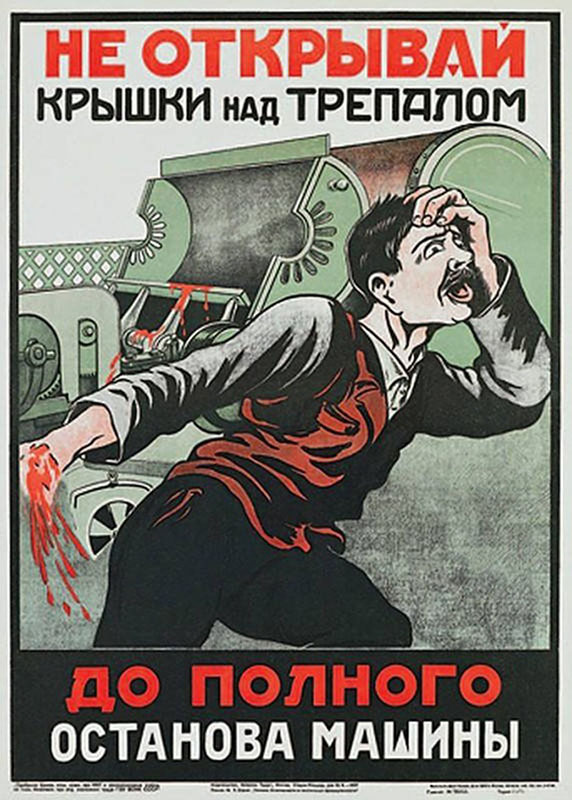 This was most expressively reflected in the posters that call on to observe the rules of labor safety at work. The language on these posters is focused, clear and, which is the most important, it is visual. 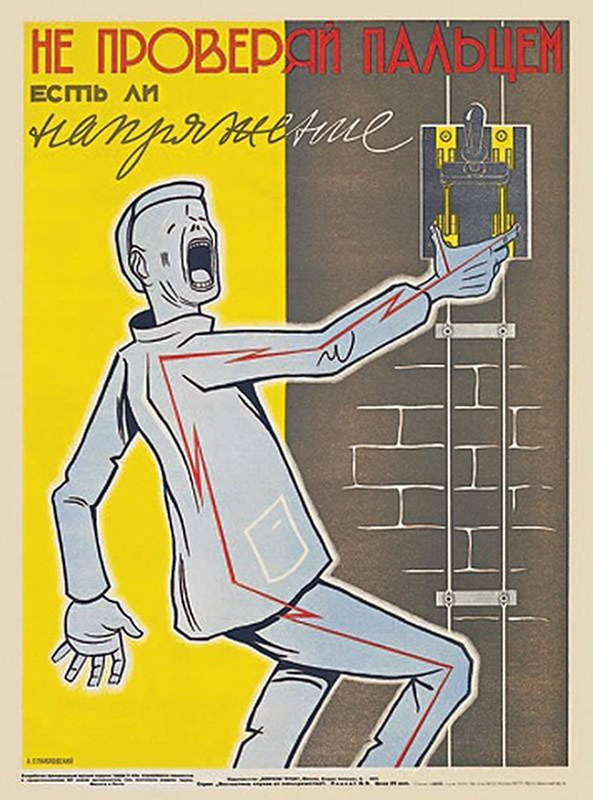 Soviet poster artists managed to create the works that demonstrated what could happen to a careless worker better than any set of written rules. Cannot believe? Have a look! Some of the posters look really weird, don’t they? You are very welcome to leave you comments! Could you provide the titles and dates for the posters?